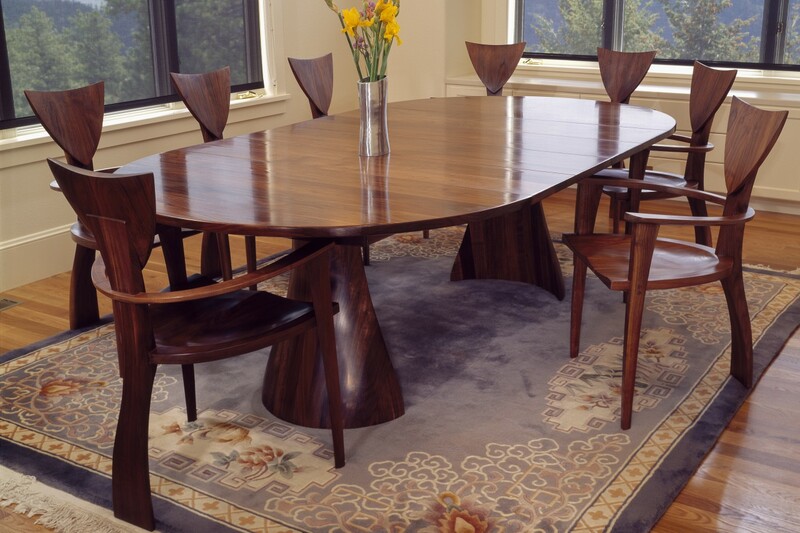 The Tinsman Dining Table features a solid black walnut top above a two-part base made from thick pieces of stack laminated black walnut, creating an organic, stable geometric form with a beautiful grain effect. 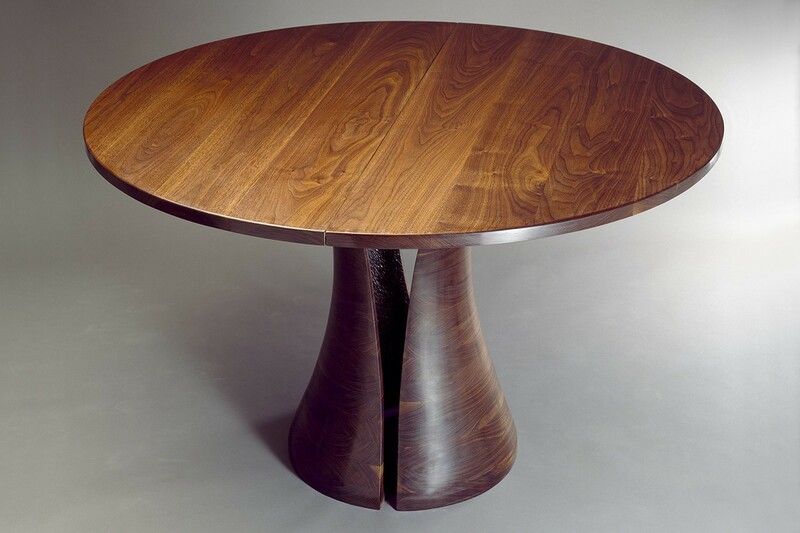 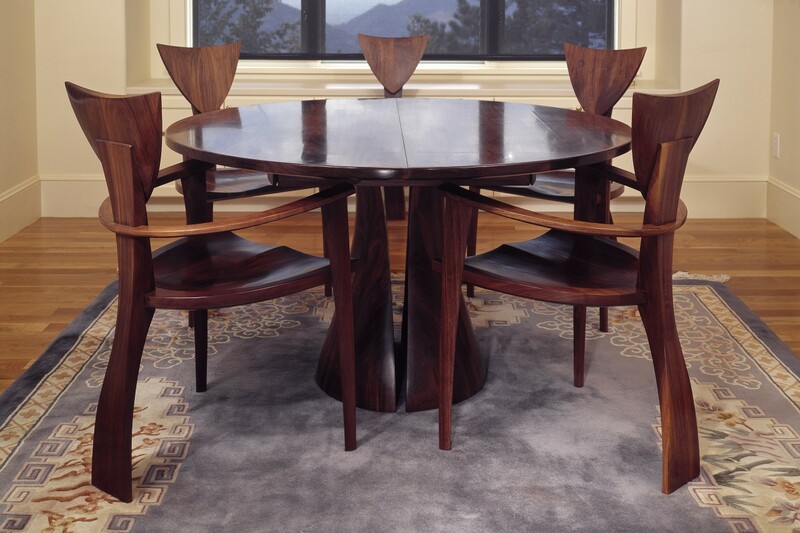 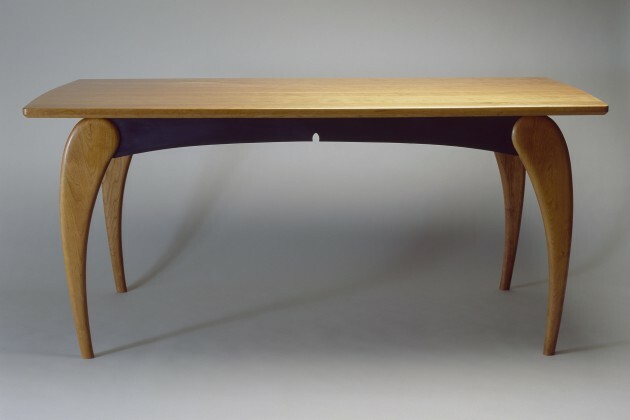 This round hardwood dining room table can be built in any diameter depending on how many people need to be seated or as an expanding dining table with numerous leaves. 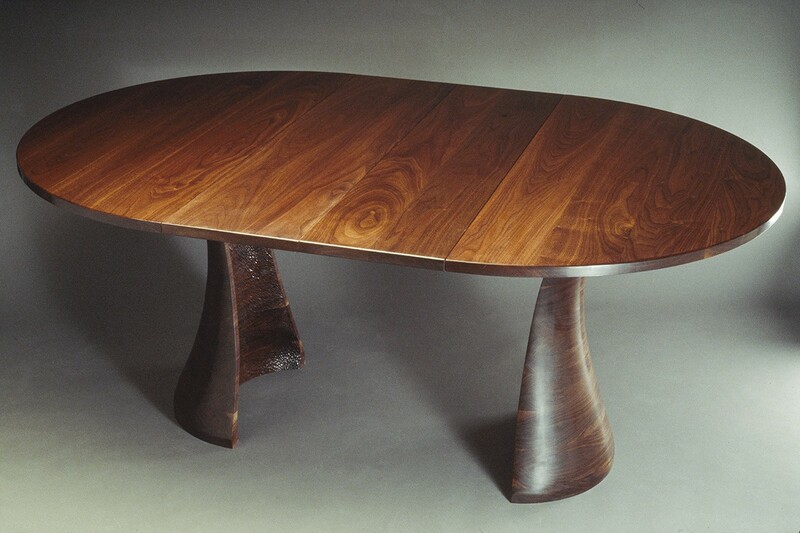 The finish is a durable polyurethane hand rubbed to a silky satin sheen. 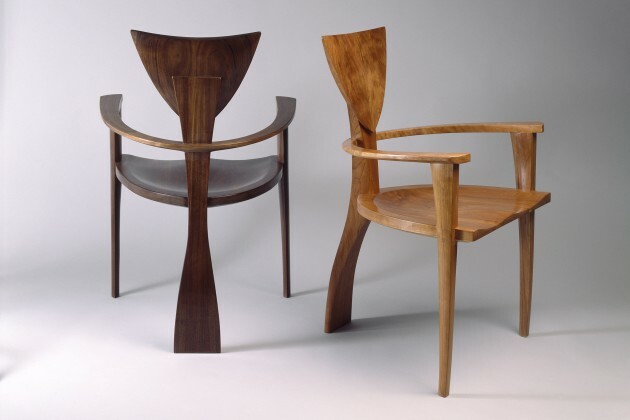 Shown with Finback Chairs.